Last October I was very inspired by Ben Wilkoff‘s keynote presentation “6 Second Stories for Learning” in the free, K-12 Online Conference. If you haven’t seen it yet, set aside 16 minutes of your day and watch it. 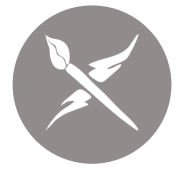 In the first half, Ben utilizes a long series of 103 different, six second videos which he recorded using Vine in the past year. Like Instagram, Vine is a media-sharing service very popular with teenagers but one I was relatively slow to try and start using myself. 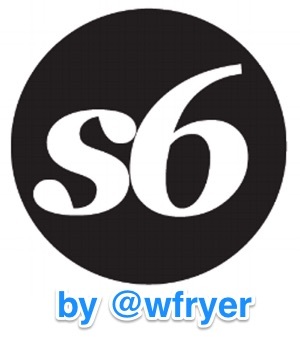 Ben’s presentation convinced me to give it a try, and start capturing “six second stories for learning” (with the hashtag #6secSFL) with it. This past Thursday, I led a full-day workshop at Kansas State University for about 175 local educators focused on iPad apps and iPad technology integration strategies in the K-12 classroom. Our full day curriculum is available with links to all the iPad apps we explored, on my curriculum wiki / Google Site for “iPad Media Camp.” After sharing part of Ben’s #k12online14 video in the morning, some workshop participants asked how they could download Vine videos to their iPads and use them in other media projects like eBooks or short, “quick edit” videos. This morning I discovered the free iOS app “Save to Roll.” In this post I’ll explain how to use it on an iPad to download 6 second Vine videos and use them in other media projects. If, like me, you record Vine videos on an iPhone but want to use them later on an iPad, these techniques can be very helpful. 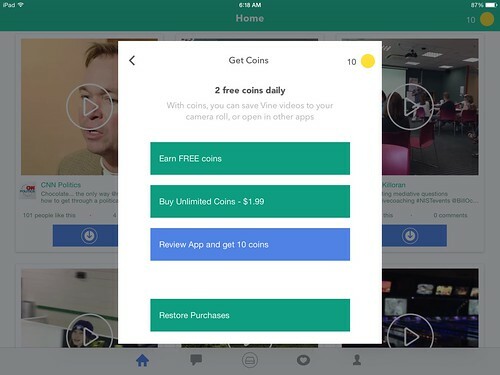 The first things you need to know about Vine and the “Save to Roll” app are that Vine may contain videos not appropriate for students and classroom use, and that “Save to Roll” doesn’t provide unlimited downloading for free. Those caveats, however, shouldn’t stop you as an educator from giving the service a try and personally experiencing the power of using “6 second stories for learning.” This is my main thesis in “Playing with Media: simple ideas for powerful sharing:” As teachers and learners we need to make time to “play in the digital sandbox” with tools like this to understand how they work and how they can be utilized in engaging lessons with our students. Students can create and use 6 second videos for learning without the Vine app, simply using their iPad or other tablet camera. The Vine app does limit users to ONLY 6 seconds, however, and this limit can lead to some wonderful “creativity within constraints.” As teachers we can replicate those same positive constraints in the lesson and project guidelines we develop for students. If you share a Vine video to a social media account like Twitter or Facebook from the app right after you record it, your iPhone or iPad should save a local copy directly to your photo roll. If you’re trying to find and download the official Vine app on an iPad, keep in mind it’s an iPhone app so you’ll need to change the “filter” within the App Store to show iPhone apps. That menu choice is located in the upper left corner of the screen when you’re searching the App Store, as shown in the screenshot below. 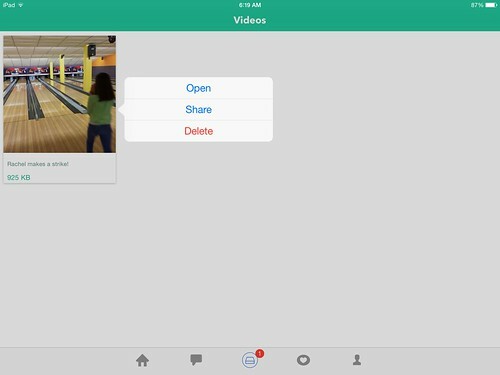 If you want to transfer a Vine video from an iPhone to an iPad, consider using the app “InstaShare” (free) or my favorite media transfer app, “PhotoSync” ($3). More helpful iPad media creation apps are listed on the “Apps” page of iPadMediaCamp.com. After you’ve recorded some Vine videos with the app and installed “Save to Roll” on the iOS device you want to use to create a remix/derivative work on using those videos, log into your Vine account with the app and tap the “heart” at the bottom to select favorite videos. 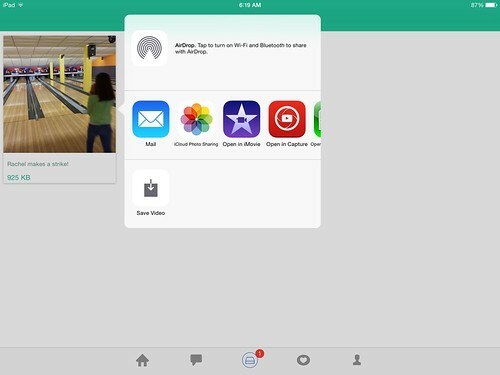 Then select “My Vines” at the top of the screen to show your videos. 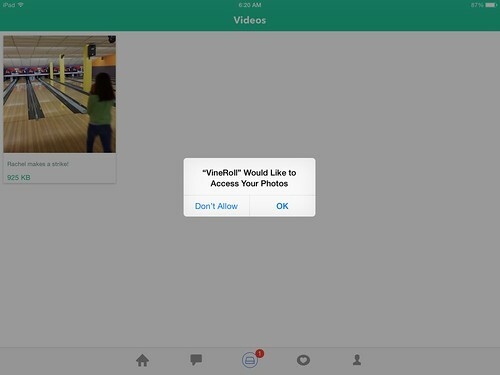 You can also view Vine videos you’ve previously “liked” or favorited on your account to view those. 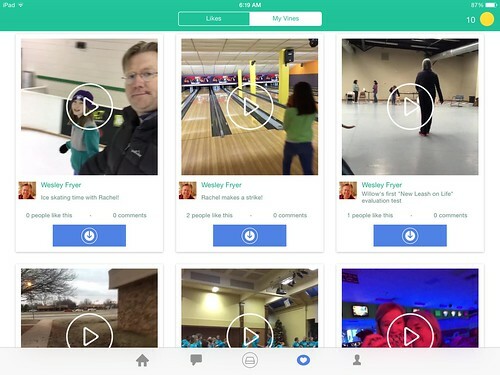 Those can include videos created by others. * Tap the blue box with the arrow pointing down to download a video to your iPad. After the download finishes, tap the saved video and choose SHARE. Next choose SAVE VIDEO to put it in your camera roll. Be sure the first time you use the app to grant permission for it to access your photo roll. If you or someone else taps “don’t allow” the first time, go to SETTINGS – PRIVACY – PHOTOS to grant permission for the app to save directly to the photo roll. 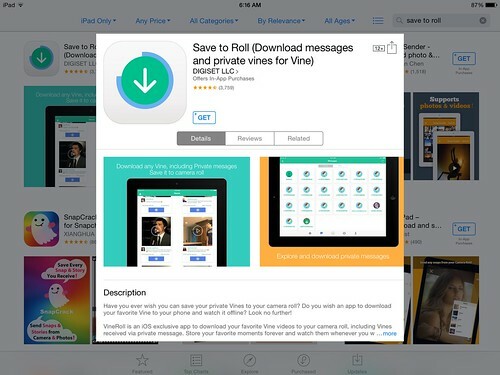 Unless you choose to pay $2 or review the app, “Save to Roll” only allows you to download 2 Vine videos per day. * If you choose to use Vine videos other people have created in media projects, remember to get their permission or consider whether your use of those videos will constitute “fair use” under the laws of your country. 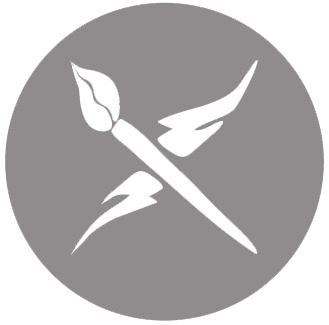 On that subject, remember the entire “Copyright” chapter of my eBook “Playing with Media: simple ideas for powerful sharing” is available for free on playingwithmedia.com. 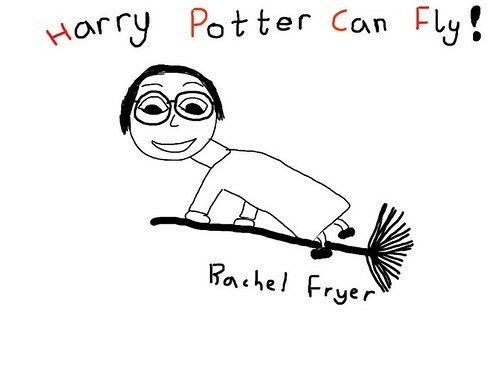 The acrostic “Harry Potter Can Fly” stands for “Homegrown, Public Domain, Creative Commons, and Fair Use” is discussed in the chapter as a guideline for students considering how to utilize copyrighted materials in derivative works / media products they create for school assignments or on their own.